Explore our public and private cruises below. Book individual seats. Book 1 to 16 seats and come join the most fun boat cruise in Charleston SC. Experience the Holy City like never before. 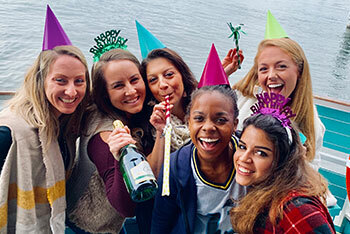 Take your celebration to the next level with the #1 boat cruise Charleston SC offers. 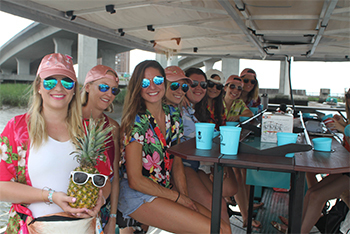 Our private boat tours on the party boat hold up to 16 people. Group Events of Any Kind! If your group is larger than 16 or you’d like to add additional packages to your tour, this option is perfect for you. Contact our party planners to discuss your options. Large Group Events of Any Kind! MON – THURS: CALL FOR PRICING! FRI – SUN: CALL FOR PRICING! Need a great idea for a birthday or anniversary party? 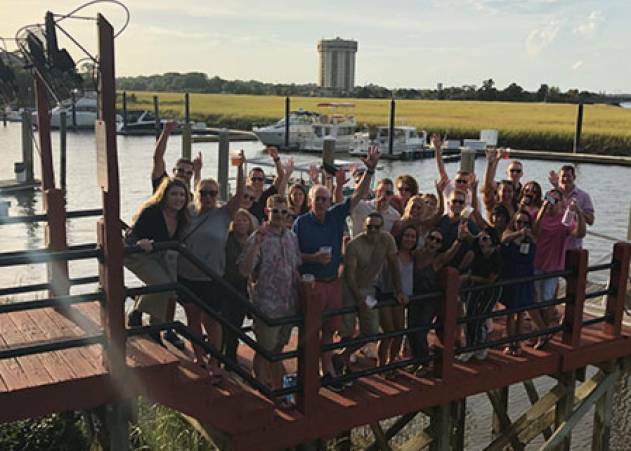 Have a blast with your friends and family on Charleston’s favorite boat cruise! 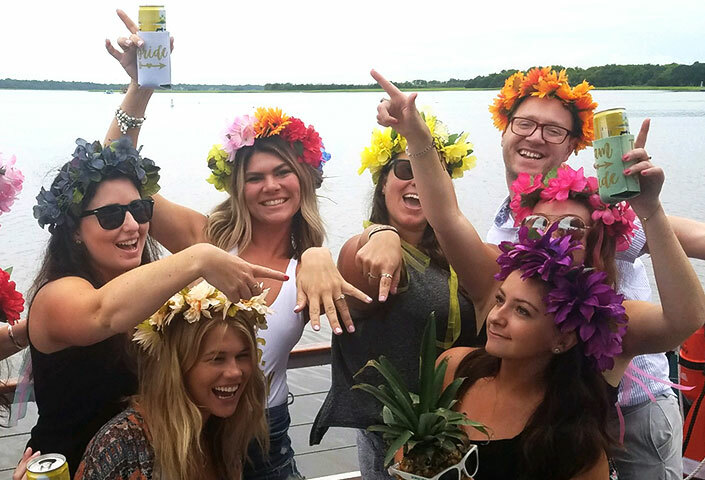 Planning a bachelorette party in Charleston SC? 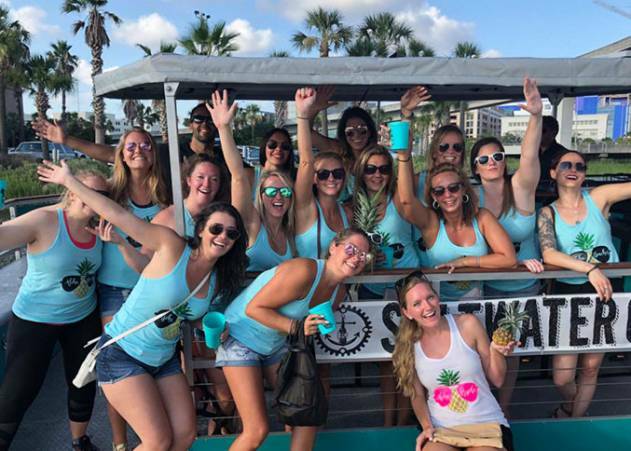 Let Saltwater Cycle help your bachelorette party have a day to remember with Charleston’s favorite boat cruise. 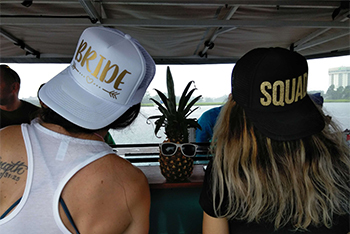 Our 21+ private boat cruise is perfect for Group Events up to 16. If you need help with a custom private boat tour, contact us today. 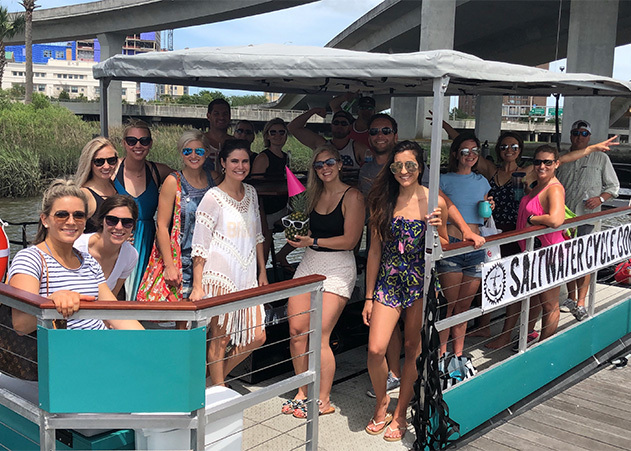 Contact our party planners today to discuss custom group tour options. Click the button below to buy a gift certificate for a friend or loved one.